Here is one of the more pointed and thoughtful discoveries of the year. “Three Billboards Outside Ebbing, Missouri” tells a story of a woman who has convulsed in the shadows of her personal tragedy for so long – and with so little assistance – that she is thrust into a decision that others see as cruel and excessive, even for someone in her position. The scenario creates a parade of publicity: three abandoned billboards just beyond town become a call-to-arms against the Ebbing police bureau, who have allowed the case of Mildred’s daughter’s homicide to run cold for months, without the slightest sense of communication or persistence. She is as tired of the silence as she is enraged by the indifference of police officers, especially in a town where legal authorities spend their days perpetuating far more peripheral matters (“they are too busy assaulting innocent black people,” she tells a news camera). That leads to the first of the three major scenes featuring she and Chief Willoughby, who is startled that his name is singled out in the sign’s protest. A revelation occurs during their argument: he is dying of colon cancer. “I know,” she replies. “Everyone in town knows.” Why did Mildred put up the billboard at all, then? Isn’t it rather insensitive? The hammer of justice ought to take no breaks, even in the face of another’s mortality. Others on the police force are less sympathetic – including Dixon, played by Sam Rockwell, a racist momma’s boy who is far more interested in causing problems for Mildred and her advertising manager (Caleb Landry Jones) then doing the legwork on the murder case. That in turn encourages exchanges throughout town where we develop a portrait on all the key parties and what they are willing to go through for the sake of their conscience, anywhere from being a voice of reason to taking matters, literally, into their own foolish hands (Mildred’s ex-husband is so offended by the notion of the billboards that a late attempt to ease the pain instead comes off as a cruel gesture against her own grief). Director Martin McDonagh observes these behaviors cautiously and without judgment, perhaps, because he has found a story that understands the delicate gray areas of pain. He desires a singular intention: to see people as how grief makes them in moments where there are no answers or easy solutions. Sometimes that comes in the form of drastic measures, other times quiet contemplation. But always the movie looks at its subjects with a forlorn quality, even as their antics move through chaotic episodes of sarcasm, wit, acceptance, frustration, violence, rampage and – eventually – some level of understanding. The performances anchor all these movements. Frances McDormand plays the Mildred role with such a thorough contemplation that we sense the great pain of her situation lingering just underneath the surface, even as her words and actions suggest a refusal to bow to tears – or worse yet, an ambivalence in the police investigation. So unglamorous is the portrayal that there are even moments where we forget who the character’s vessel is; she snarls at the camera as if loss has made her rabid, and impenetrable filters make it impossible for her to detect good gestures (one of the best scenes involves a dinner she has with a friend played by Peter Dinklage, who secretly likes her but has reached a limit with what he can put up with). The contrast to that presence, of course, is Woody Harrelson’s turn as the calm and assertive police chief, who understands Mildred’s position, hopes to make her understand his, and somewhere in the quest for answers feels the pressure of time close in on him as his illness begins to take hold of his physical abilities. And in between these pillars of conflicted ideals is Sam Rockwell’s Dixon, who begins detestable, indirectly reveals a source of pain and eventually comes to finding a path towards rational thought (although it may come at the cost of necessary personal sacrifice). The movie is not always easy to endure. The dialogue can be harsh and cringe-inducing in its obscene depth, and often the unrestrained impulses of the key players create moments that are aggressively unpleasant (consider a key scene when Dixon throws Red, the young advertising manager, out of a window after beating him to a bloody pulp). But the deeds spied through the camera lens are the acts of a people who are too removed from the logic of their situation to sense the difference between acceptable and destructive behaviors, perhaps because they feel they – or someone they love – have been the victims of something far grizzlier than anything they orchestrate. Without accepting the inevitability of their anguish, they are destined to self-destruct in rather elaborate methods. The question is, at what point do we stop looking on empathetically and raise up the mirror? Are Mildred’s actions at all overboard when she first puts up those billboards? How about when she reacts to the destruction of them by committing arson against the police station? 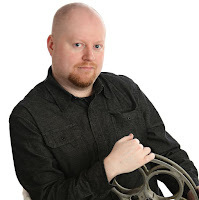 Is Dixon acting against Red because he is angry at him, or is it simply the pain of the moment inspired by a great devastating moment that transpires just before? The process is far more complex than a mere action suggests, and no words can quell the ache of the heart like time and contemplation. 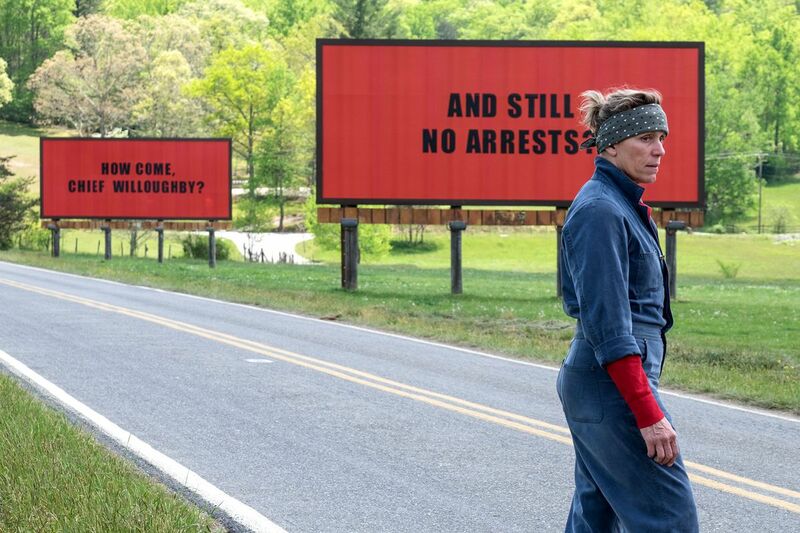 “Three Billboards Outside Ebbing, Missouri” understands the concept of this process and stands back, patiently and perceptively, while everyone involved slowly comes around to realizing so.